With Karribean Mango (aka Karibena) Kannabia offer you a cocktail of tropical aromas and flavours. In this cross they have used a Mango Skunk base, with a very defined sweetness. But they wanted to propose you a variety outstanding for something else, for this reason they crossed it with Black Domina, and obtained a very succulent result with prevailing sugary touches and acid, bitter nuances (tangy fruits and cypress), citrus in some occasions. You will have in your hand a pale seed, a fruit waiting for ripening. 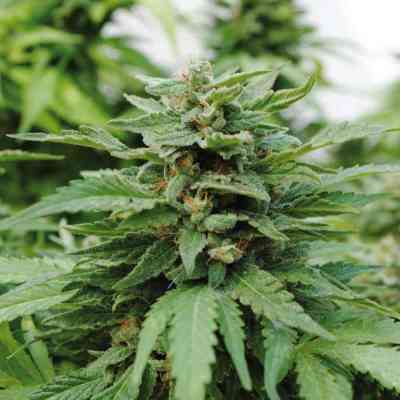 Flowers have a big size, and could become huge due to the influence of Black Domina. For this reason, we will have to fertilize it constantly to obtain exuberant results and a more narcotic effect. This variety flowers develop long, thick tails which look spongy. But they may trick you because they are really heavy and dense, Black Domina signature. You will be surprised by the buzz. In conclusion, a fresh fruit bite, a bite to the fellow Caribbean.